When giants from the gambling field get together, a brilliant competitive product can appear at the market. And this is exactly what had happened when three major gambling companies have launched the project Imperium-games. This online gambling platform was established in 2014. The company offers innovative casino software for land-based gambling establishments, bookmakers and online casinos. Thanks to many years of working experience Imperium-games provides its clients with high-quality products. We should tell you a bit about the founders of the company. A company AsiaGames is a leader in the Asian countries. It owns a network of casinos in Vietnam, Malaysia, Singapore and Cambodia. Besides, the company has its own online casino based on the network of its land-based gambling establishments. AsiaGames has adapted for the Asian market casino software from such brands as PlayTech, Aristocrat, IGT, Microgaming, Novomatic and others, and that was a huge step in the gambling industry. StartGame. This developer creates software for gaming club in collaboration with such well-known manufacturers as Igrosoft and Aristocrat. Advantages of casino software from StartGame are its multiplatform, quality and complex mathematical algorithms of slot machines. A company IG Imperium-games has more than 15 years of working experience in the betting industry and it controls the work of many PPSs. As a part of the Imperium-games project the company’s team of experienced developers, led by the Project Manager, has created unique betting software Imperium-bet. Another partner of the project is a cloud system Cloud Imperium-Games, which develops ‘space’ games and stunning visuals. If you want to open an online casino and are tired of searching the right casino software, Imperium-games will offer you the best solution that only possible to find at the market. The online gambling platform is ideal to any kind of gambling activity and will provide you with a stable customer flow. We offer you to buy or rent a casino gambling system from Imperium-games on the Casino Market website. You will be able to integrate the software for gaming club and to start getting profit within the shortest possible time. The online gambling platform Imperium-games net will ensure the qualitative installment of slot machines into online casinos through a functional interface. The casino gambling system includes games in both Flash and HTML5 format. They can be played via any device in the online mode. HTML5 mobile slot games are good, because they do not require downloading for the plug-in, as it is in case of the Flash format. Therefore, now online gaming software from the best manufacturers is developed on two platforms simultaneously. 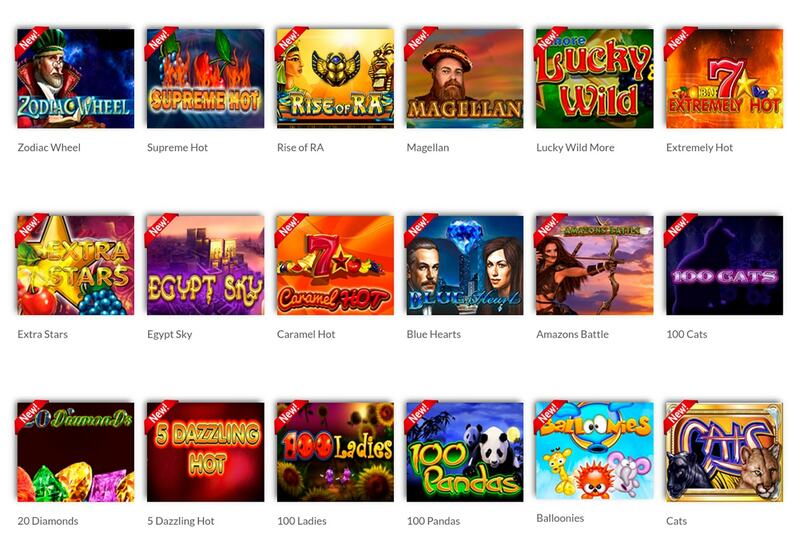 The portfolio of slot games from Imperium-games is rich and various. There are about 600 games on different themes: slot machines and classic casino gambling - roulette, poker and bingo. 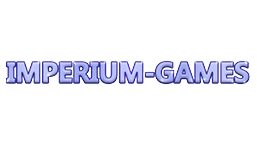 Imperium-games net offers its customers only those games, which were made by well-known and respected developers and casino software providers, such as Playtech, Amatic, Tom Horn, Betsoft, NetEnt, Novomatic and IGT. For the protection of the privacy of players, the Imperium-games company uses the SSL cryptographic protocol of the latest version of 256-bit encryption. Your customers will be totally safe. Imperium-bet is cross functional betting software that will be a good choice for off-line PPSs, land-based box offices and online betting offices. Moreover, there is both an Internet version for the PC, and a mobile format for gadgets. 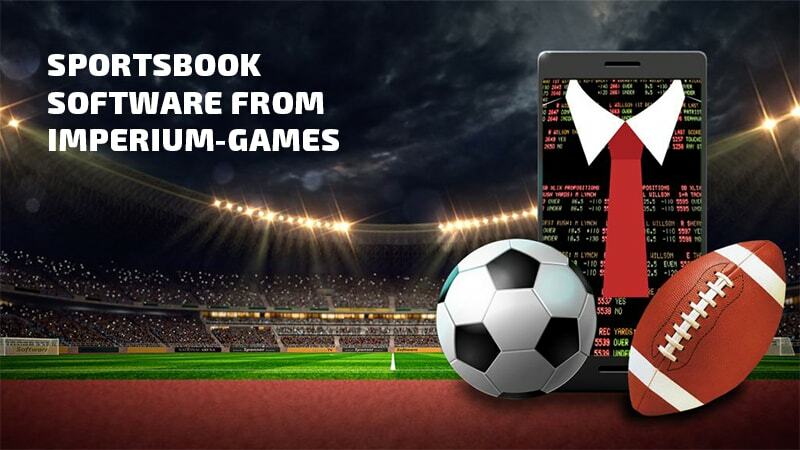 Sportsbook software from Imperium-bet generates sports bets, and it offers at least 1000 events per month, as well as favorable rates for users. Among the sports events you may find not only classic tournaments like football, basketball or rugby, but also e-sports competitions and horseracing. Bets are accepted in a pre-match and an online mode 24 hours a day. Imperium-bet uses special club cards for customers, it also has a terminal-cashier, which registers players and carries out financial transactions via personal accounts of clients. The described betting software is a flexible system and a multi language service of high quality. The company offers an opportunity to place bets from any device and conducts instant settlements with customers based on the coefficients. And bookmakers may not worry about their profits, because Imperium-bet provides them with a reliable hedging of risks. There is no better way to attract new customers to your online casinos than fast games. This is a great kind of entertainment, which does not require any special gambling skills and gives participants a chance to get a quick payoff. Bingo. Wide range of bets, ability to place bets in advance, and totally unique design: all this you may find in such a simple game, which will catch fancy of every user that will become a loyal customer of your online casino. Card games. These games have an elegant design and a user-friendly interface. In this section you will find classical card games familiar to every player. Keno. Among the original design and the variety of bets, participants will have an opportunity to get additional balls. Races. In this kind of games everything happens very quickly. You will be able to place instant bets on the line and to get lightning-fast payouts. Wheel of Fortune. The wheel is decorated in a classic way, but with some elements of a modern design. As in bingo, you can place bets in advance. Roulette. The roulette wheel looks bright and stylish. All possible internal and external bets are available to players. All possible internal and external bets are available to players. All modules of the online gambling platform are integrated for the casino operator through the API. This interface is intuitive and multifunctional: you can monitor the operations and actions of players, as well as keep record of it. API is maximally geared towards various games, casino software and gambling markets. support for HTML5 games for most kinds of devices. Seamless Wallet API. With this interface users can control their balance on the website. The reading of results of the spinning of reels or of the gaming round itself is made through the system. If any problem occurs on the provider’s server or on the side of the player, Seamless Wallet API provides security and integrity of the balance. 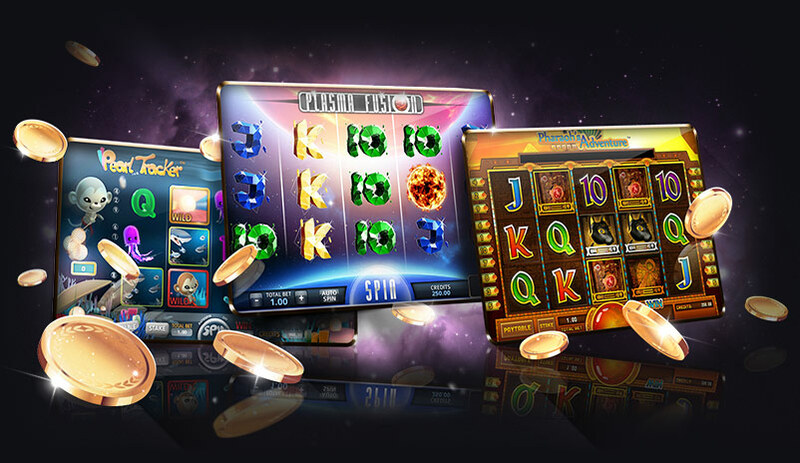 Clients of the casino can play 4 games simultaneously and the results will be displayed correctly in the balance sheet. Wallet API. In this type of API the gameplay is displayed on the provider's server. After the end of the game players’ balance may pass to an online casino. Such a system is beneficial for customers and online casino operators alike. Imperium-games has all necessary advantages to become a reliable partner for your business. You can trust this company and not to worry about the quality of its casino software. Right now you can leave a request on the Casino Market website and the Imperium-games casino gambling system will become yours. Online casino with this software will daily attract new players with its unique content.